Rotary clubs and Rotarians have a responsibility to find ways to improve the quality of life for those in their communities and to serve the public interest. Community Service responds to the needs of the local community by encouraging and fostering the ideal of service to the personal, business and community life of every Rotarian. It provides Rotarians with the opportunity to exemplify the Rotary motto: Service Above Self. Host the Salvation Army soup kitchen each Friday or Saturday night through the winter. Undertook the construction of a 'boundary free' playground in partnership with the Town of Tecumseh, to ensure that all children, regardless of their level of physical or sensory development, to have the opportunity to play together. 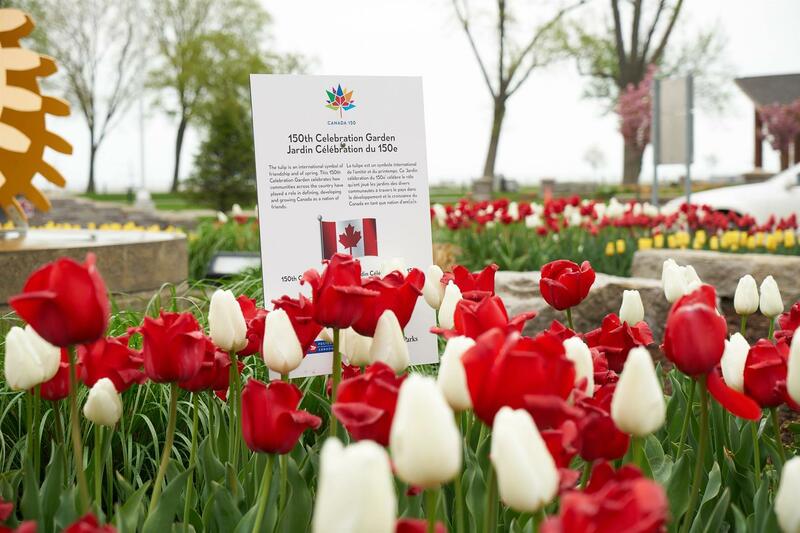 Planted tulips at the Rotary Roundabout at Manning and Riverside Drive for Canada's 150th Birthday Celebration. Financed the building of the Windsor- St.Clair Rotary Greenhouse for the Regional Children's Centre on the campus of Hotel-Dieu Grace Healthcare. Financed and installed lights on bicycles for migrant workers in Leamington. Challenge other Rotary Clubs and community to give blood in February and March each year.